Today's entry is up there with some of the best designed narrative experiences of recent years. In some ways Inside by the talented folks at Playdead can be seen as a spiritual successor to their previous effort, Limbo. Once again you find yourself controlling a child in a side scrolling world. Moving left to right, trying to avoid death as you push forward, exploring an atmospheric, ambiguous, world. It might be easy to write this off as a rehash of their previous effort, just with a more accomplished aesthetic. 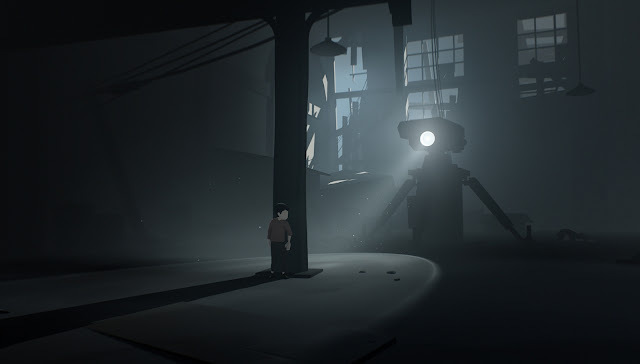 If you skipped this one based on its similarities to Limbo, you're missing out. Easily one of the games of the year for me. Strongly recommended, both as a player, and as a designer.